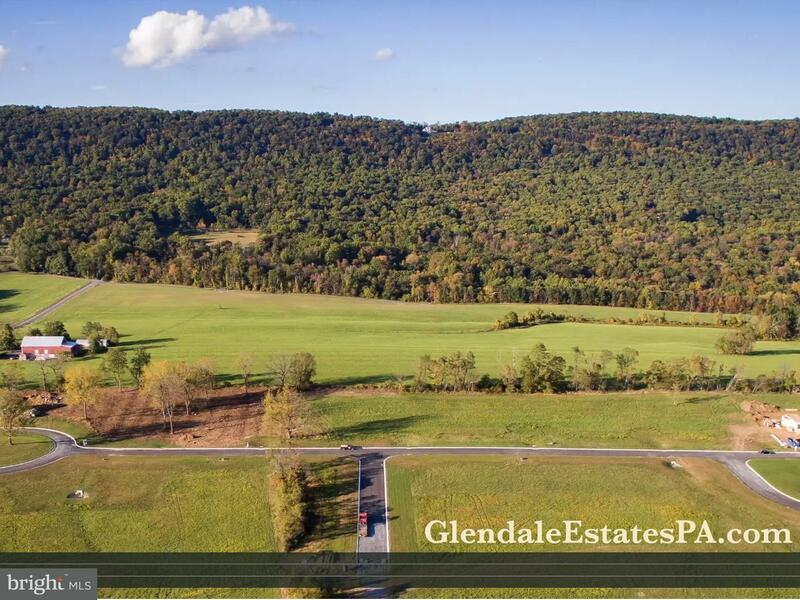 Introducing Glendale Estates! Build your dream home on Homesite 21 offering nearly 1 acre with a walkout lower level and picturesque mountain view. Glendale Estates offers a distinctive collection of estate-size homesites in a stunning setting, allowing homeowners a rare opportunity to custom build a beautiful home that is tailored to fit every aspect of their individual lifestyle. 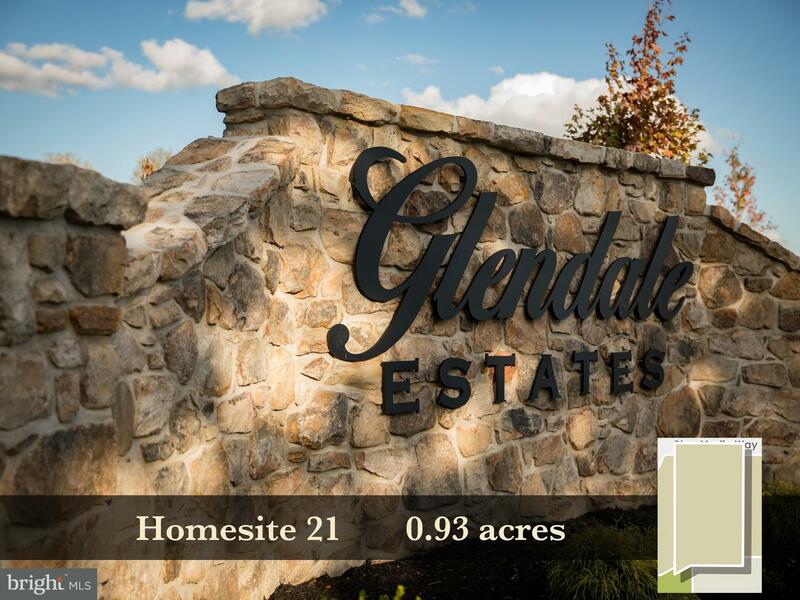 Located in Cumberland Valley School District, Glendale Estates features top craftsman builders, with home packages starting in the mid 800~s. Direction: I-81 South to Exit 57. Turn Right on PA 114. Turn Left onto PA 944 (Wertzville Road). Turn Right onto Glendale Drive. Glendale Estates entrance is on the Right onto Blue Marlin Way. Glendale Estates is a subdivision within the city of Mechanicsburg, Pennsylvania. There are currently 14 Homes for Sale within Glendale Estates, with asking prices ranging from $182,500 to $1,130,000. The average list price per square foot of the available inventory in Glendale Estates is $4, which is below the Mechanicsburg average of $7. The Average Sales price of all sold real estate in this subdivision for the past year is $185,000. Recent comparable homes have been selling for 91.65% of their asking price. Waterfront homes represent 0.00% of the available Glendale Estates inventory. The population of Mechanicsburg, according to the 2010 Census, is 8,981. The total number of households in the zip code of Glendale Estates is 13,345, with an average household size for of 2.45 people. The total number of renter households within the zip code of 17050 is 2,876, which means that 78.45% of households in this zipcode are owner occupant households. Homesite 21 BLUE MARLIN WAY , Mechanicsburg PA 17050 is a Land, with 0 bedrooms which is for sale, it has 40,511 sqft, 40,511 sized lot, and 0 parking. A comparable Land, has 0 bedrooms and 0 baths, it was built in and is located at Homesite 1 BLUE MARLIN WAY MECHANICSBURG PA 17050 and for sale by its owner at $ 182,500. This home is located in the city of MECHANICSBURG , in zip code 17050, this CUMBERLAND County Land, it is in the GLENDALE ESTATES Subdivision, and GRANDON FARMS are nearby neighborhoods.